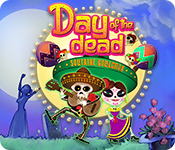 Day of the Dead: Solitaire Collection is rated 4.2 out of 5 by 22. Rated 5 out of 5 by bigsisga from Fun Game I really enjoyed this game. The graphics and music were enjoyable. The story was authentic. Rated 5 out of 5 by verimeri from excellent I very much enjoyed this solitaire game. Sometimes it was difficult to get all three rounds completed with only 25 cards but there were plenty of power-ups to use. The graveyard was cute and buying the decorations was fun. Hope their is another game from them soon. Rated 5 out of 5 by jcsgame from Enjoyable Solitaire Game A fun Solitaire Game. It is easy to start, but it does get harder later in the game. You will have many "helper" cards available for use in meeting the challenges. As you progress, items get much more expensive. One thing nice about "purchases made" is that you can change the item purchased for a different item, as you go along. Thoroughly enjoying the game. Rated 5 out of 5 by deddu from VERY COLORFUL The game becomes more challenging at higher levels -- by level 11 you have different instructions in the top left hand corner of the screen. Each level has sets of 3 and you must meet the requirements to obtain 3 skulls. You get "boosters" to help you and can buy more with the diamonds. You buy decorations from the coins you make. Rated 5 out of 5 by QueenBigFish from CAN'T GO WRONG PLAYING WITH THE DEAD Another great game from Green Sauce Games. As soon as I heard the music and saw the graphics, I knew this was a game for me. I purchased the Forgotten Tales: Day of the Dead and that was fun. I spent several minutes on this new solitaire game and was a buyer. It's a fun colorful solitaire game. You will definitely enjoy playing with the dead!! Rated 5 out of 5 by MizAllred from Very fun! Just started playing this and so far I love it! It's not very difficult but may get harder the more I play. And I love the theme, thank you Big Fish! Rated 5 out of 5 by Redau from Well--- We Have The Walking Dead So why not the Day of the Dead!?! I like this game for one reason only, it's weird, very cheery, definitely different take on solitaire and has me laughing at times. Even the story is an improvement on a few of the past narrators. Dying to see what we do with all these dead folks cards, better be something or that would be disappointing. With the horrific tragedies we have happening right now this is a good easy/fun game, it has enough to make you forget for a while and for that reason I used one my game credits on this one. PS Kids of all ages would love this game. . Rated 5 out of 5 by JeansLady1 from A fun and relaxing solitaire game This is a fun game for the reasons given in more detailed reviews. It's higher-lower which is my preferred type of solitaire. I get to build/decorate something - in this case, the cemetery. The VO/narration is good. Graphics are great - very colorful. I like the idea of having multi-layer levels because it's a bit different. 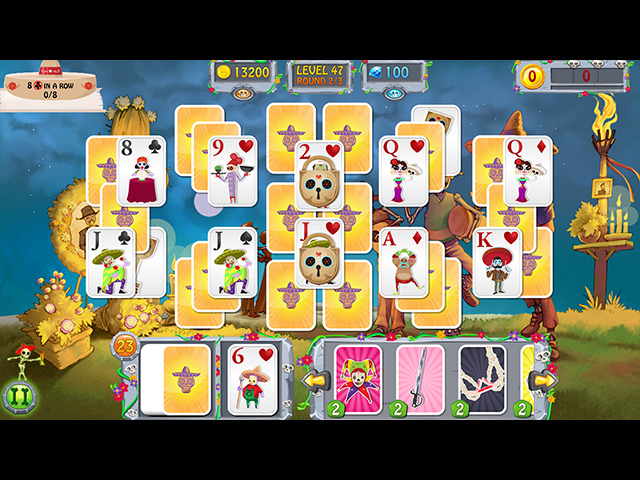 I'm on level 12 which means I've played 36 hands since you get 3 "deals" for each level to meet the level goals. The only thing I've especially noticed is that the game isn't overly challenging, but that doesn't put me off. I bought it pretty quickly after the trial period. Sometimes I just want to play for fun and relaxation without any big pressures or time/move limits. For me, this is a perfect game to play while taking a quick break from TM or HOG games. This game is a great way to unwind and just have fun. Obviously, I don't know if the levels become more difficult just yet. But, if not, that's okay - I'll still be glad I got it. Rated 5 out of 5 by jlroeder from Great Game I love solitaire games that have you do something besides just play the solitaire game. This one delivers. Lots to do, very colorful and a nice storyline. I'm sure there will be better and more detailed descriptions by other players. I usually don't even give reviews but I'm enjoying this game a lot. Give it a try! 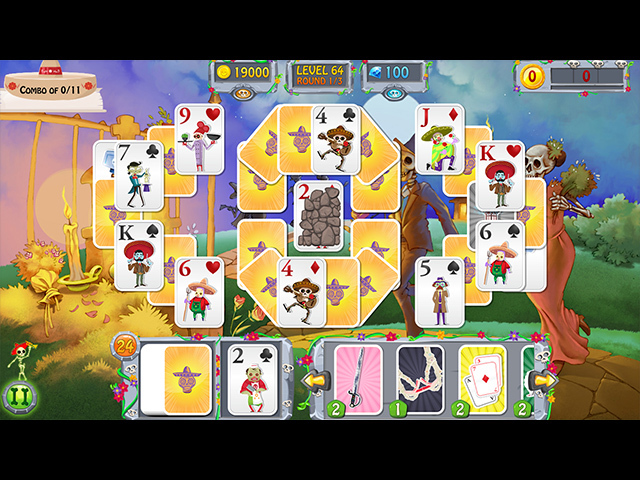 Rated 5 out of 5 by Sante001 from Fun Games With Go Storyline This is a great solitaire game. While it's easy to play, the graphics are wonderful and believe it or not, there is a story being told. 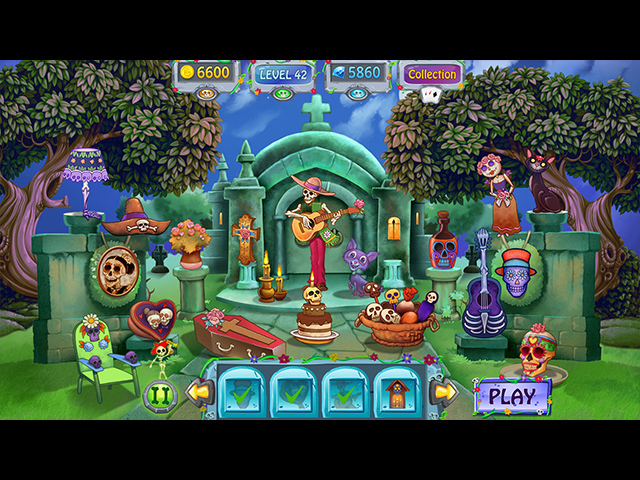 Throughout the game, you can purchase power ups and purchase enhancements to the character's garden. If you are looking for a game to take you mind off of the work that you should be doing - smile - this is the game for you.